KE00012 is a solid phase sandwich Enzyme Linked-Immuno-Sorbent Assay (Sandwich ELISA). 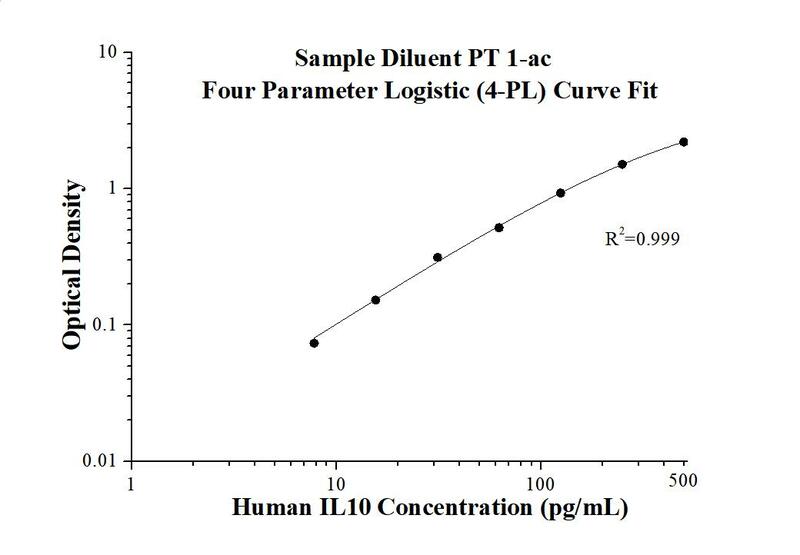 The IL10 ELISA kit is to be used to detect and quantify protein levels of endogenous IL10. The assay recognizes human IL10. 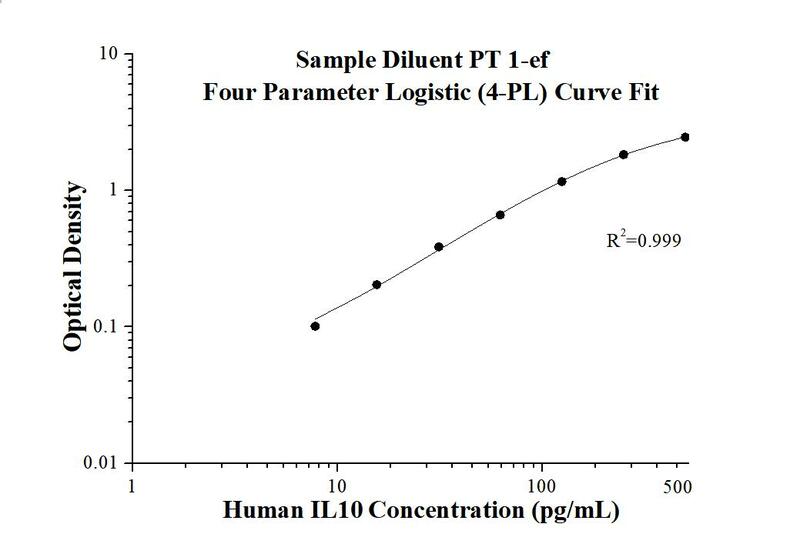 A polyclonal antibody specific for IL10 has been pre-coated onto the microwells. The IL10 protein in samples is captured by the coated antibody after incubation. Following extensive washing, a monoclonal antibody specific for IL10 is added to detect the captured IL10 protein. For signal development, horseradish peroxidase (HRP)-conjugated antibody is added, followed by Tetramethyl-benzidine (TMB) reagent. Solution containing sulfuric acid is used to stop color development and the color intensity which is proportional to the quantity of bound protein is measurable at 450nm with the correction wavelength set at 630 nm. Interleukin (IL)-10 is an anti-inflammatory cytokine, produced by T helper (Th) cells, macrophages, monocytes, and B cells, that plays a crucial role in preventing inflammatory and autoimmune pathologies. It downregulates the expression of Th1 cytokines, MHC class II antigens, and co-stimulatory molecules on macrophages. It also enhances B cell survival, proliferation, and antibody production. IL-10 can block NF-κB activity, and is involved in the regulation of the JAK-STAT signaling pathway. IL-10, along with its receptors, describes an important role in pathogenesis of various diseases, including infectious, inflammatory, autoimmune diseases. IL-10 mutations are associated with an increased susceptibility to HIV-1 infection and rheumatoid arthritis. Total glucosides of paeony improves the immunomodulatory capacity of MSCs partially via the miR-124/STAT3 pathway in oral lichen planus. Can the dietary fat type facilitate memory impairments in adulthood? A comparative study between Mediterranean and Western-based diet in rats. Periodontitis is associated with systemic inflammation and vascular endothelial dysfunction in lacunar infarct patients.